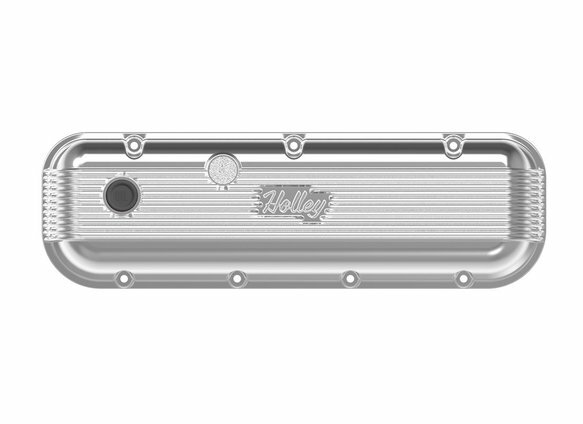 CAUTION: If your engine has non-standard valve train components, such as a high-lift camshaft, roller-tip rocker arm, higher lift ratio rocker arms, stud girdles, etc., there may be insufficient clearance when using Holley Vintage Series BBC valve covers. You must check all internal clearances according to the instructions in the kit. Holley's Vintage Series Big Block Chevy valve covers are the latest expansion to the Vintage Series family of aluminum dress up products featuring a classically inspired finned design and a retro-style Holley script brandmark. 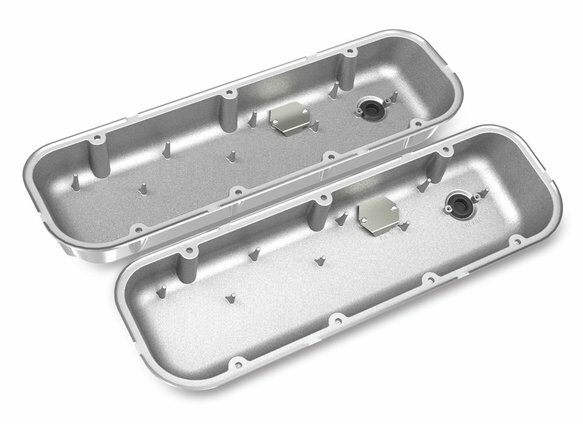 These valve covers are manufactured from die-cast aluminum and include cast-in oil drippers and emissions provisions punch-outs for you custom application. 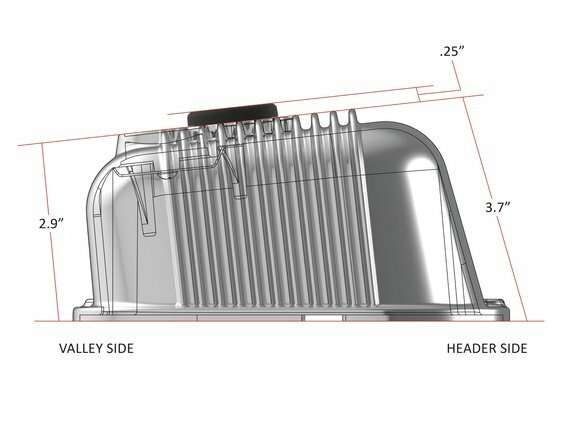 These were designed as a standard height BBC cover, therefore internal clearances are only enough for stock or stock-replacement valve train. 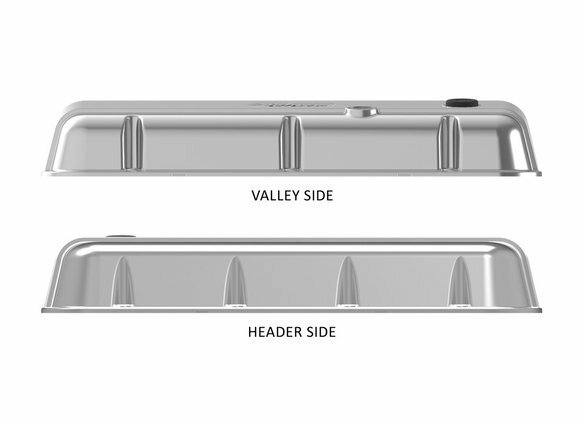 Includes vintage inspired push-in rubber oil fill plugs, a PCV grommet, and baffle plates with their required mounting screws. 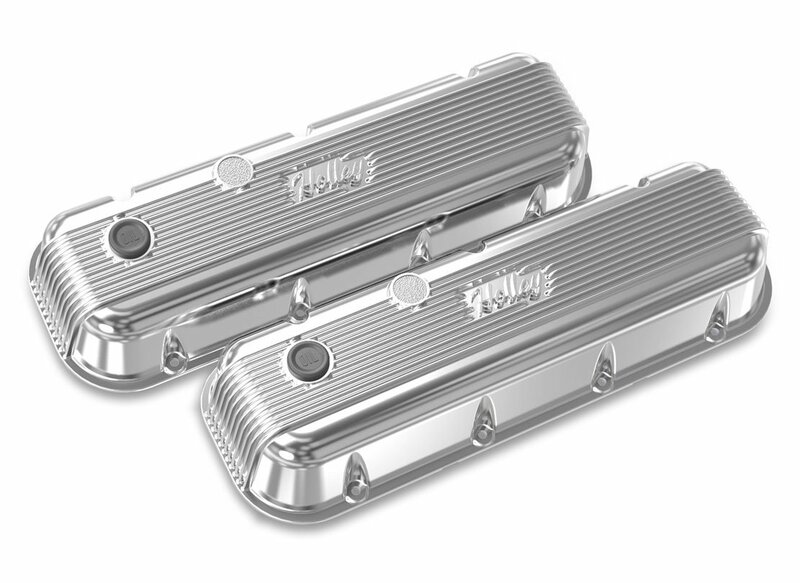 The BBC Vintage Series valve covers are available in five unique finishes: natural cast, polished, satin black machined, Holley red machined, and factory orange machined – and a color matched Vintage Series finned air cleaner assembly is currently offered in most finishes.